Chia Chou was born in Taiwan. He emigrated with his family to Toronto when he was a year old. He began piano studies at the age of four at the Royal Conservatory of Music, Toronto and later studied with Clifford Poole at the Faculty of Music at the University of Toronto. In 1978 he went to complete his education at the High State Academy for Music and Performing Arts in Stuttgart, Germany with Prof. Lieselotte Gierth. 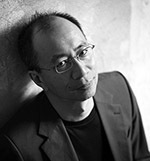 Mr. Chou was first-prize winner at the Mendelssohn Piano Competition in Berlin in 1980. The breakthrough however to an international career was to come in 1981 when he, as youngest finalist, won the First prize at the Second Sydney International Piano Competition of Australia. In 1987, he was awarded the Bronze medal at the prestigious Queen Elisabeth Piano Competition in Brussels and attracted much attention as the clear favourite of the public and press. In 1984 he gave his American debut with the Los Angeles Philharmonic Orchestra, performing 2 concerts before 17,000 people at the Hollywood Bowl and was invited by Rudolf Serkin to participate at the Marlboro Music Festival. Since 1990, Chia Chou has been a member of the Trio Parnassus which was awarded the prestigious ”Echo Classic” Award 2001 and 2008 in Germany for ”Best Chamber Music Recording of the Year”. In 2006 the Trio Parnassus was awarded the German Music Critics’ Award for their recording of the Complete Piano Quartets of Robert Schumann. To date, Chia Chou had released more than 40 CDs.